India’s Best Payment Gateway Just Got Revamped! We’ve been waiting for a long time to share our happiness with you! PayUmoney, India’s best payment gateway, just got revamped. 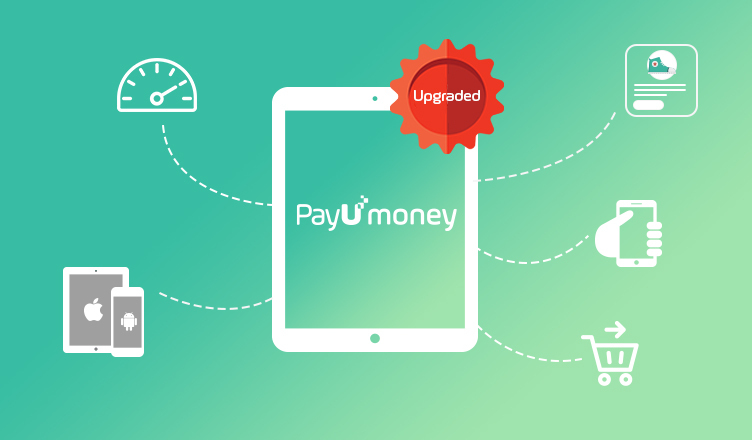 Right from onboarding to checkouts, we have put our best heads forward to enhance PayUmoney. We have also introduced an absolutely unique feature only for you- Test Mode. Let’s walk you through this power pact transformation. We understand time is a constraint these days. But without trying a product how will you use it confidently? Thus to facilitate the best services to you, we have introduced the Test Mode. Once you login to your PayUmoney account, turn on the “Test Mode”. The dashboard is all yours and you are absolutely free to test all features available to you – Checkout options, PayUmoney payments button, Creating invoices and other powerful features. In the test mode, you actually get to experience the checkout from your customer’s perspective. You can choose between two different types of checkout options – Redirect & Bolt. Read PayUmoney’s Test Mode to know more. Gone are those days when you had to fill, sign and courier all the required documents to us. Now we are going 100% online! To make the onboarding process seamless, we have introduced online documentation instead of processing hard-copies on our payment gateway. So now, simply breeze through the processes and focus more on growing your business. It’s not only the colors, logo or the fonts we have transformed. Your PayUmoney dashboard has been thoughtfully designed to make you as independent as possible. Now keep 100% track of all your transactions – sent, received and refunded directly from your dashboard. Yes! Now you can initiate successful refunds directly from your dashboard. We have activated refunds for all our PayUmoney accounts. Know more about PayUmoney’s Nitro Flow system. Now you don’t have to repeatedly login or integrate APIs to send bulk invoices via email or SMS or both. You can check invoice status – paid, unpaid and expired in the excel itself. Grab this amazing opportunity to grow your business, SignUp on PayUmoney today!